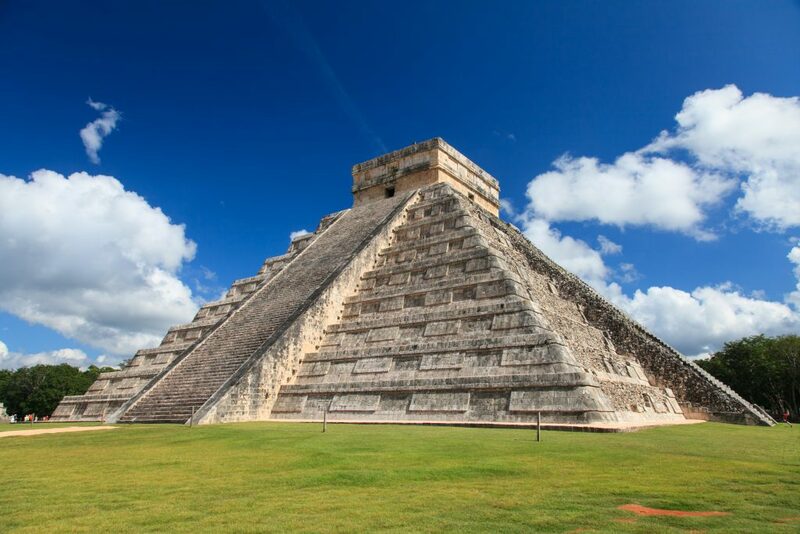 The Mayan City K'aak Chi: Mistake or Scientific Marvel? William Gadoury came up with a theory that the Mayans built their towns and structures in line with certain star constellations. After some quick bedroom research, he found that in most cases, Mayan cities did indeed line up with the major constellations. Following on with this theory, he quickly noticed that there was one city missing. In an excited attempt to further his research, this 15-year-old scientist decided to source satellite images from the Canadian Space Agency, in an attempt to pinpoint the exact location of this ‘missing Mayan city’. William then matched up his findings to Google Earth, and suddenly discovered the site where the constellation suggested the final city should be. The Mayan city is thought to be in the middle of an extremely dense jungle in the Yucatan peninsula, and has been named K’aak Chi, or Mouth of Fire by William himself. Upon closer inspection by Dr Armand La Rocque and Daniel De Lisle, a squared structure could be seen under the dense vegetation in this exact spot. Could this be the city of K’aak Chi? At its time of discovery, everyone was convinced by the structure’s shape and size, and the media took the story and ran with it. For months, this was an unquestioned discovery of a lost Mayan city, scientific papers were published, and William was set to speak at the Brazilian International Science fair in 2017. However, as the story got more attention from the public, it also got more attention from the specialists in the field of astrology and natural history. These people were not so convinced. The first part of William’s discovery to be questioned was the basis of his entire theory, his idea that the Mayans aligned their cities with star constellations. Anthony Aveni, an astronomer and anthropologist known as the “father of Archaeoastronomy” pointed out that following a map of modern constellations is “an interesting Western fantasy… we tend to look at these modern star maps and see things in the way we might see patterns in clouds”. Meaning that you cannot scale a civilisation on earth to the relatively immeasurable cosmos. The level of precision William is claiming just doesn’t exist. Sarah Zhang from Wired also pointed out that the modern day constellations may not even match up with those which the Mayans would have used. The Mayans may have clustered together completely different stars to form their constellations than we do today. All of this may beg the question, so why is there a square structure there? Well, experts such as Thomas Garrison, an anthropologist at the University of Southern California-Dornsife, said that there is definitely a rectangular feature with secondary vegetation growth, but that this could signify an old field or farm that has been fallow for around 10- 15 years. Geoffrey E. Braswell, an archaeologist who has spent most of his life researching these areas in the Yucatan, seconded Garrison’s statement by claiming that the image in question simply shows a small field with weeds, which may have been fallow or active marijuana fields. He stated that the area William had discovered is not known to house any pyramids, and that there is no archaeological site there. So, although the scientific community admire William Gadoury’s creativity and drive in the world of science, they are not convinced that his theory stands. William however, has gone on to receive an invitation to participate in this year’s European Union Contest for Young Scientists and has won a gold medal at the Canadian Science Fair for his project on K’aak Chi. Is the discovering of the K’aak Chi a mistake or scientific marvel? Explore Mexico and find the answer. Chimu Adventures offers amazing tours to Mexico. Click here to contact us.